Naturally distinctive perfume of Tahitian vanilla pods with subtle fragrant hints of cacao and bitter chocolate finish. Andreas Tsanos used this bitter in a World Class UK Final 2009 Gin Competition. 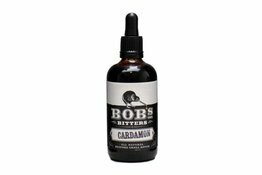 Handmade cardamon (aka cardamom) bitters. 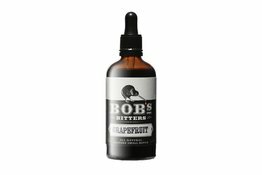 The robust aroma of cardamon combines well with underlying hints of lemon and eucalyptus and a trace of sweetness offset by a sharp bitterness. Strong cacao aroma’s with hints of hazelnuts and malt. The palate is naturally dark chocolate with espresso coffee notes and a barky, bitter finish. Fresh lemon zest flavour with warm nutty undertones. The spice comes through sharply with a slight hint of sweetness with a bitter caramel finish. This is one of the core bitters used in The Dorchester Gin Experience. A fresh sweet floral flavour with lemon citrus aroma and traces of Rosemary wood. It sits well in any number of drinks using Gin, Vodka and Tequila. A sweet woody earthy flavour with a touch of anise and fennel. Slight barky notes with a bittersweet finish. Initially created for Ago Perrone for use in cocktails using the newly reformulated Galliano L’Authentico. Handmade orange & madarin bitters. Aromas of freshly scratched mandarin zest with the bittersweet flavour of caramelised Seville oranges and a trace of warming spice. A bitter zest finish that lingers.